Product information "Rosco Lens Tissue 4in. X 6in. Booklet"
Rosco Lens Tissue is a premium, lightweight, disposable microfiber tissue. It is lintless, static-free, and contains no abrasives or silicones. 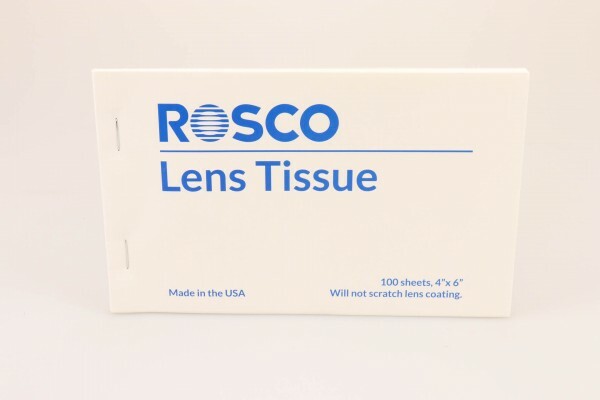 Rosco Lens Tissue is packaged in a handy, pocketsize 4" x 6" booklet, containing 100 sheets, with each sheet perforated for easy removal. Related links to "Rosco Lens Tissue 4in. X 6in. Booklet"
Customer evaluation for "Rosco Lens Tissue 4in. X 6in. Booklet"